Drawing two page spreads is always a fun and tricky thing especially for a webcomic. You have to plan them very early on in the issue to make sure that when the book gets printed that they end up where they’re supposed to. Nothing would be more horrifying than doing a two page spread and then realizing that those two pages don’t connect in the book. It hasn’t happened to me yet *knocks on wood* and hopefully I’ve learned enough lessons from doing them in Mission 006 and 007 that it won’t ever happen. 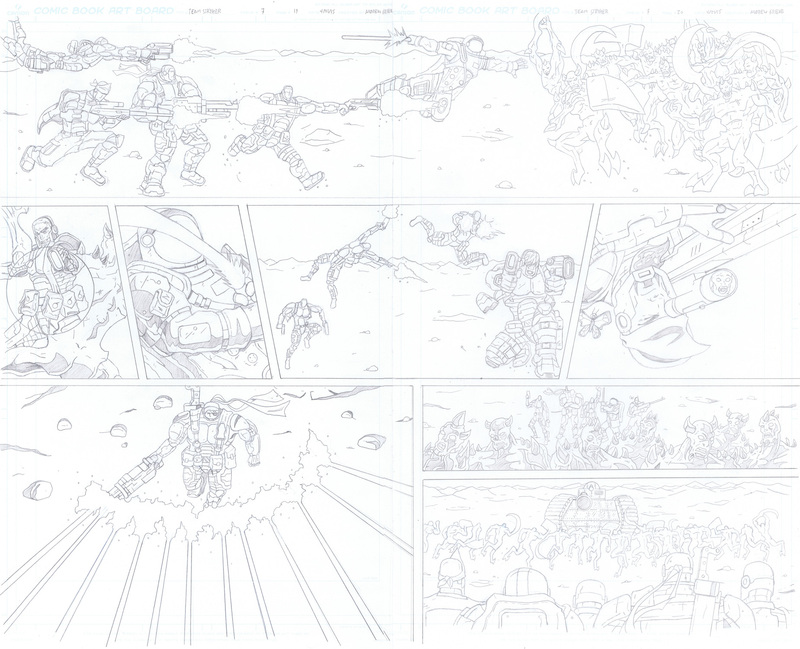 Click here to see the full res version of the pencils to this page. Since this week’s post is a two page spread I’ll be taking next week off as I start to ramp up production on Mission 008!